Why is Chandler one of the Highly Sought Cities in Arizona? Downtown Chandler shines at night. A Taste of Chanlder. People flock to sample food and drinks. 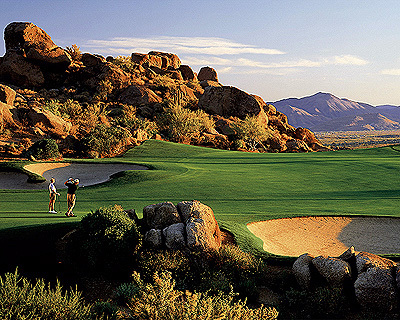 The Grand Canyon State is known as Golf Capital City of America. All year round competitive pool for recreational and competitive swimmers. Downtown Chandler is robust. Octoberfest is an annual city festival. The San Marcos Hotel is a historical landmark in downtown Chandler. 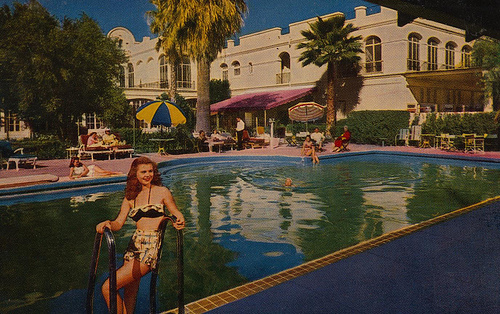 It is the oldest hotel in Chandler but with old time charm. The East Valley biweekly newspaper The San Tan Sun News recently offered great news about Chandler in an article reporting on Mayor Jay Tibshraeny’s February State of the City address. 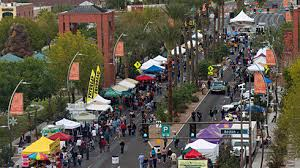 It depicts Chandler as a dynamic community particularly because of two main factors: a strong business climate and thriving neighborhoods. Chandler continues to attract technology-based companies like General Motors, On Trac, and Nationstar, which have brought the city over 2,000 new jobs. Wells Fargo, Orbital Sciences and GM are growing and expanding. Diverse neighborhoods, quality recreational amenities, easy access to transportation, a solid infrastructure, and the excellent Chandler School District are elements making Chandler a perfect place to grow a family and business. The City of Chandler was one of the few in Arizona whose revenues remained positive during the recession, thanks to strong fiscal policies and conservative spending. 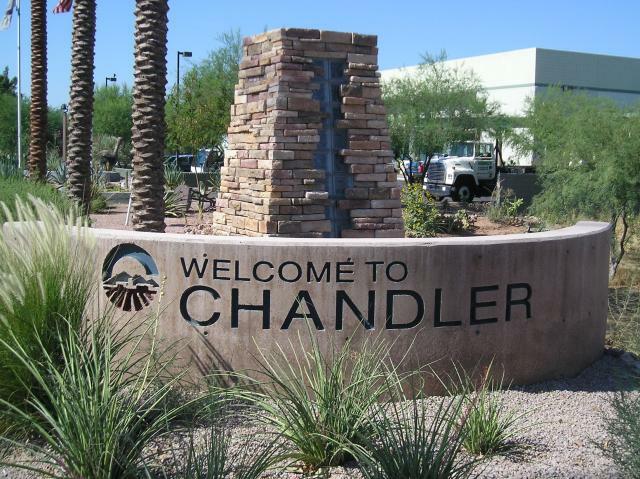 Chandler was named in the Top 50 Best Places to Live by Money Magazine in 2013, and is one of just two cities in Arizona to hold a AAA bond rating from each of the three bond rating agencies. 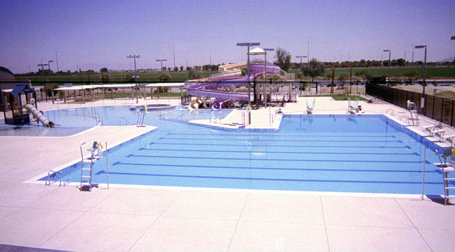 Chandler was named an “All American City” in 2010. I have been a resident of Chandler for nine years. I initially lived in north Chandler, then moved to south Chandler, so I know the city quite well. I enjoy the diverse communities and the wide range of recreational, entertainment opportunities and city services (libraries, infrastructure, cultural events) available to families. The Chandler Unified School District has excellent schools to choose from, and the city’s state-of-the-art aquatic and other recreational facilities are easily accessible. On the business front, successful businesses of all sizes are choosing to locate in Chandler, and this expansion is bringing in new jobs. No wonder so many families are making Chandler one of the most popular Arizona cities in which to buy a home. Chandler offers a great quality of life at a more affordable cost than many of its neighboring communities. Chandler real estate is robust and keeps getting better. If you’re looking to buy a home in Arizona with strong home values, look no further than Chandler. A number of people become Realtors to grow their private and personal real estate portfolio. They plan to buy properties for themselves to either hold or sell quickly, or in some cases to obtain their “dream home”. Many of these Realtors end up representing themselves when it’s time to sell their home to avoid paying the 3 percent commission to a listing agent. If you are planning to be a “For Sale By Owner” (FSBO) Realtor, here are a few tips that may help you decide whether selling your own home is the right decision for you. 1. Realtors are held to a higher standard when they sell their own properties – The Realtor is required to abide by the real estate code of ethics of honesty, disclosure and fairness when dealing with the buyer on a real estate transaction. Some FSBO Realtors, in their strong desire to sell the property, hide material information affecting the buyer’s decision to purchase the home. Examples of these can be such things as roof repairs, leaks, improper electrical or plumbing installation, poor workmanship of flooring or walls, and the list goes on. If the buyer falls through the roof into the house and suffers broken bones because the Realtor FSBO failed to disclose the roof repair, the buyer can seek legal action and the court usually favors the buyer for the Realtor’s non-disclosure. Many brokers report that the highest claims they get arise from FSBO Realtors for non-disclosure, misrepresentation and untruthfulness. For this reason, HomeSmart is charging a significant amount of liability insurance on Owner Agent listings. There is a perception that when a buyer buys a Realtor FSBO home, he or she can be taken advantage of because of the buyer’s lack of knowledge of his rights, resources and lack of awareness of acceptable practices in the industry. This reminds me of an experience I had with a Realtor BEFORE I became one. I made an offer on a land parcel near Kingman to a Realtor I spoke with on the phone. I was looking for an acre of land to subdivide and sell later at a retail price. The Realtor offered me a parcel of his own land which he had up for sale. My husband and I drove three hours to see the land. The Realtor told us that we could subdivide the land into quarters. We accepted the deal and got into contract with him as the FSBO Realtor. We deposited earnest money of $2,000 and relied on him for direction. Later, I found out from Mohave County that the land can only be subdivided into three, not four, as the Realtor had claimed. I also found out that, for this and other reasons, the parcel was overpriced. I turned to the Realtor who helped us buy our house to see what we needed to do to get my earnest money back. I followed his instruction and told my story to the broker of the FSBO Realtor. I was able to get my earnest money back instantly. Unknown to me, I was representing myself as the buyer in the transaction. And as such, the Realtor is not obligated to provide me with the comparable sales, explain my rights as a buyer, explain the contract or how to recover my earnest money if needed. Moral of the story: Do not become an unrepresented buyer in a transaction involving a FSBO Realtor property. 2. Emotional Attachment – It is difficult for a Realtor or any homeowner selling his own home to make sound decisions because he is emotionally attached to the home and values the home more than anyone else. When I sold my own home, I rejected an offer that came in $20,000 below list price because I felt insulted at how little these buyers valued my home. If I had a Realtor representing me, she/he would have counseled me to counter and the result would have been different. 3. Counsel – It is important to receive advice from someone who is impartial, yet has your best interests in mind. Not only do you get new insights, it helps you to focus on the end result. I lost $2,000 on the closing of my new home to a lender because the lender representative sensed that I was too eager to get the home. Had someone represented me as a buyer, I would have gotten the home for less than what I ended up buying it for. 4. Negotiation – It is difficult to negotiate the best possible deal in your favor if you are emotionally involved. You may give up too much equity to get the deal done or not give anything if you don’t feel the home is fairly valued by a buyer. The more complex negotiations of price, terms, condition and repairs become, the harder it is for a FSBO Realtor to reach a fair outcome. Being a FSBO Realtor or simply selling your own home is harder than you think. You can lose significant amounts of money by failing to represent yourself well. In the end, it’s worth paying a Realtor to help get the best possible deal. You will very likely end up with more money in your pocket. I will definitely have another Realtor represent me in the sale or purchase of my next property.